The Heil FL2 Flange Mount is for folks who do not wish to mount their PL2T or SB-2 with the supplied C clamp. 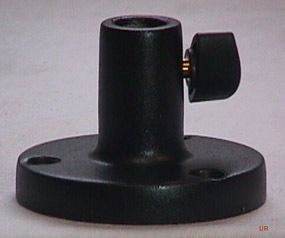 The FL2 Flange Mount can be affixed to a surface using the three supplied wood screws. Copyright 2004-2016, Universal Radio, Inc.